LONG, long ago, before rotary cutters were available, I was diagnosed with Myasthenia Gravis. I loved to hand quilt but with the weakness caused by this disorder, I was unable to use scissors to cut fabric. Thankfully, quilt kits were available so I purchased this one. I began hand piecing it when I was at my sickest, taking only a few stitches at a time. I hand stitched this top off and on for several years. The kit was originally designed for a twin bed but I wanted it larger. Fortunately, much of my strength eventually returned so I was able to purchase and scissor-cut solid color fabric to enlarge the quilt. The top was packed away for a long time and when I rediscovered it, I decided to use four solid strips for a border; wider at the head and foot. 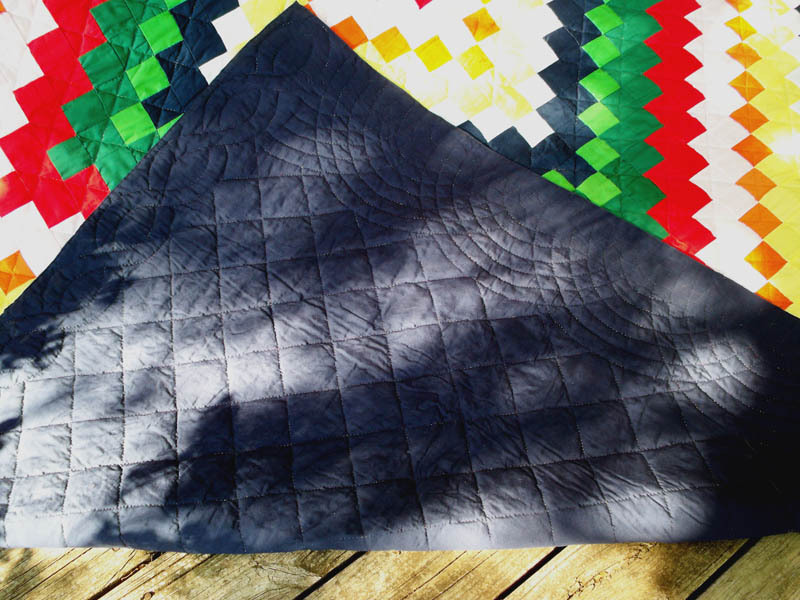 I backed the quilt with a navy blue sheet and hand quilted it. 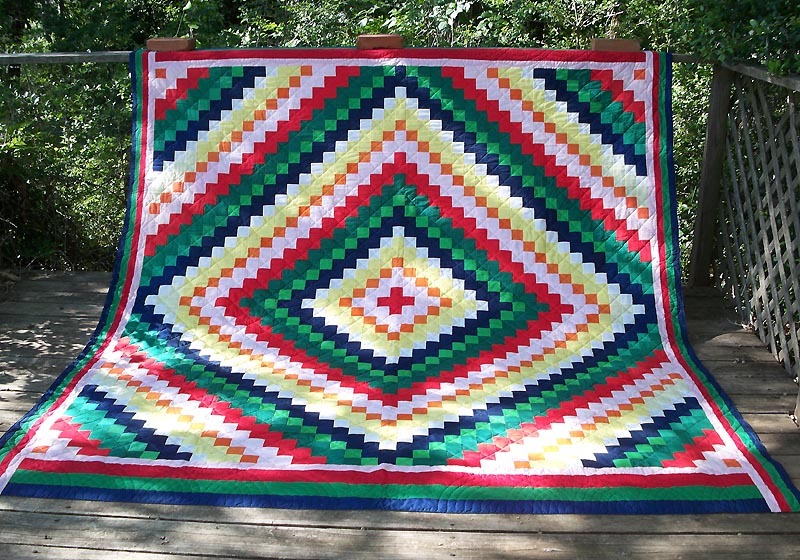 The body is a simple grid and the head and foot borders are quilted with overlapping Baptist Fans while the side borders are a single cable design. The quilt is queen size.